WASHINGTON -- Acting Attorney General Sally Yates, a Democratic appointee, says she's directed Justice Department attorneys not to defend President Donald Trump's executive order on refugees. 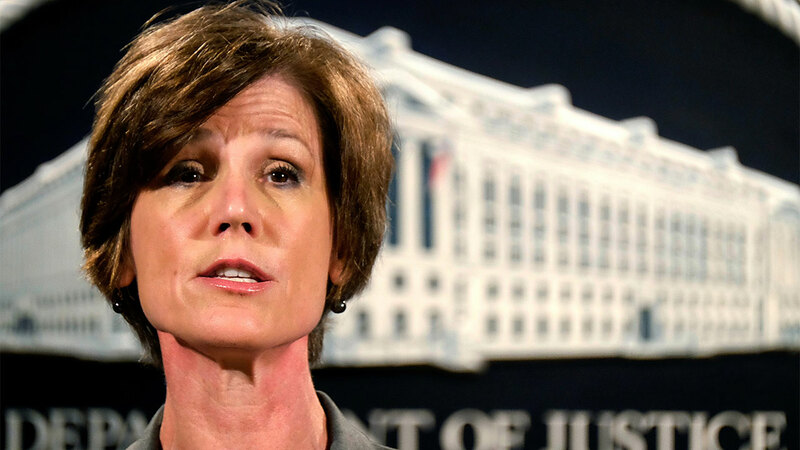 Yates said in a memo Monday that she is not convinced that Trump's order is lawful, or that its defense is consistent with the department's obligation to "always seek justice and stand for what is right." Her directive will be in place until she leaves the department, which will happen once the Senate confirms Sen. Jeff Sessions, Trump's pick for attorney general.